Thanksgiving is a wonderful holiday to spend with children. The holiday allows you to enjoy delicious home-cooked dishes with your little ones while spending quality time with other family and friends whom you love. It is a time to show your thanks to others, as well as to contemplate what exactly you’re thankful for in your life. 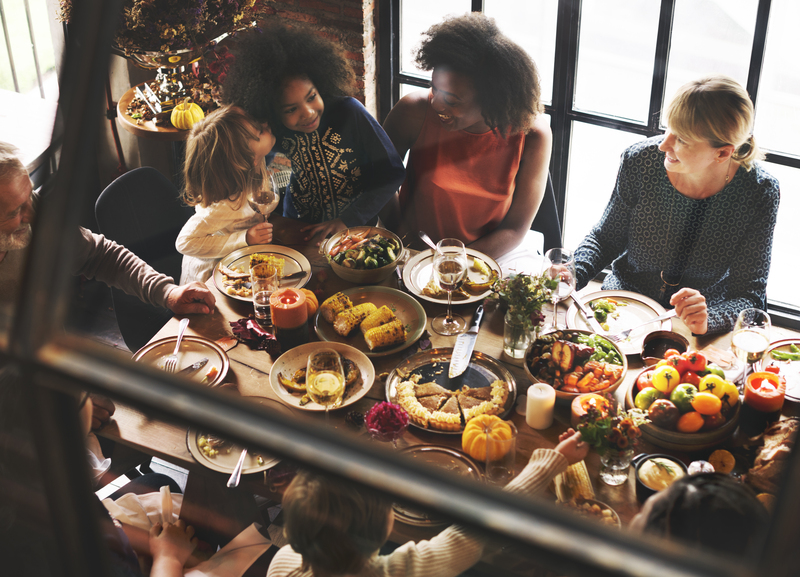 Of course, it may be easy for your little ones to enjoy the tasty food and the quality time spent with distant relatives; however, they may not fully understand the idea of showing or thinking about thankfulness during this national holiday. Don’t worry if your child doesn’t automatically comprehend the concept of thankfulness during the Thanksgiving season; instead, consider asking him or her these Thanksgiving questions for kids, which will help teach children thankfulness in a fun and family-friendly way. What Do You Love the Most in the World? Often, one of the easiest ways to help teach children thankfulness is by having them begin to associate thankfulness with things that they love in their lives. To do this, you can simply begin by asking your little ones what they love most. You will often hear the same kids talking about how they love their parents, their pets, their friends, their teachers, nature, and other important things in their lives. Once your little ones talk about the love they have for other things or people, continue the activity by explaining that we should be thankful for the things we love. Then explain that we can show our thankfulness for these things by being kind and generous, and by being loving back. This is a simple way to get little ones to start thinking about thankfulness this Thanksgiving. Can You Act Out Your Thankfulness This Thanksgiving Season? For both adults and children alike, it is relatively easy to discuss the concept of thankfulness during the Thanksgiving season. You may talk about how you are thankful for one another and the rest of the family, as well as how you are thankful for your homes, food, and other good things in your lives. This is certainly a great way to help children start thinking about the concept of thankfulness and how it may apply in their everyday lives. Once you have your children thinking about thankfulness in general, it is important to continue down this path and help them understand that showing gratitude is just as important. How can you teach your children the importance of showing appreciation during this Thanksgiving with kids? Begin by acting as a role model this holiday season. If you are appreciative of something, show it somehow. For example, if you are thankful for your spouse, demonstrate this to the world by doing something nice for her over the Thanksgiving holiday. Or, if you are thankful for the beautiful nature around you, head out to the park and clean up a specific area as a family. Doing these simple actions will help your children understand how to act on their thankfulness. Volunteering on Thanksgiving Day to serve food to homeless people or people with no family is a wonderful way to demonstrate what your child has to be thankful for, and a way to help other people. Things we take for granted every day can soon come into light when volunteering to help others. Talk to local restaurants or homeless shelters to learn where to volunteer. You can also donate canned goods to food pantries and can drives. One thing that comes up throughout the year, but especially as winter holidays near is gift giving. When your child gets a gift, be militant about ensuring the giver gets a thank you note from your child. When your child is really little, insert a picture (or scribble), and start having them sign their own names as soon as they can. Taking time to write a thank-you note gives your child time to think about the person who gave them the gift and express gratitude. This will become a lifelong habit. It is important to teach children gratitude over the Thanksgiving season, try these tips to help them.